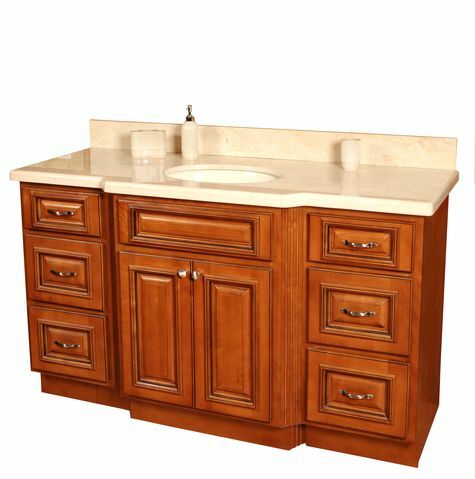 The Horizon Maple vanity collection will match any decord with it's rich, warm stain color. 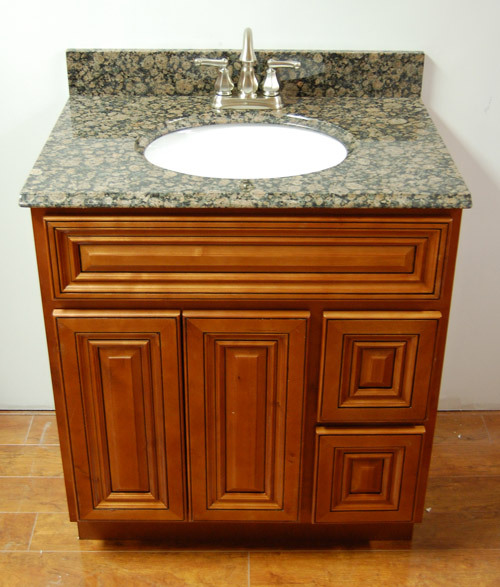 It offers standard features such as 6-way adjustable European-style hinges and dovetailed undermount full-extension soft-closing drawer glides. With black antiquing emphasizing the door features, this cabinet really stands out.